Adopting the 2018 International Codes generates a national benefit of $11 for each $1 invested and saves lives, according to a new study by the National Institute of Building Sciences (NIBS). The national mitigation benefit-cost ratio associated with code adoption ranges from $6 for each dollar invested for floods to $12 for each dollar invested for earthquakes. These benefits are a result of injuries and deaths avoided, lower property damage, fewer business interruptions, and reduced insurance premiums. The study also found that communities that meet the latest edition of the building code have added 30,000 new jobs to the construction-materials industry. To read more, click here. Mike Mueller, TEKA North America, Inc.
Donna C. Palladino, Rekers NA, Inc. Chair: Mike Mueller, TEKA North America, Inc. Terms begin at the conclusion of the 2019 NCMA Annual Convention. We extend our appreciation to these individuals for their continued support of NCMA and the manufactured concrete masonry and hardscape industry. 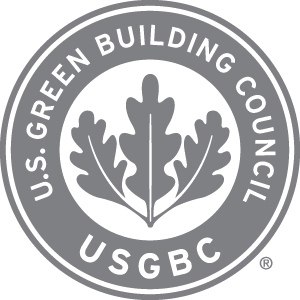 The U.S. Green Building Council released LEED v4.1 recently, an evolution for the design and construction of full buildings (LEED BD+C), which focuses on accessibility, the most current standards and real-world project experiences. Also in the update (and an entirely brand new feature) is energy metrics now showing both cost and greenhouse gas emissions, an upgrade to ASHRAE 90. 1-2016 and applicable and achievable credit requirements throughout the rating systems. For a preview of the changes, click here. To check out the new rating systems, click here. 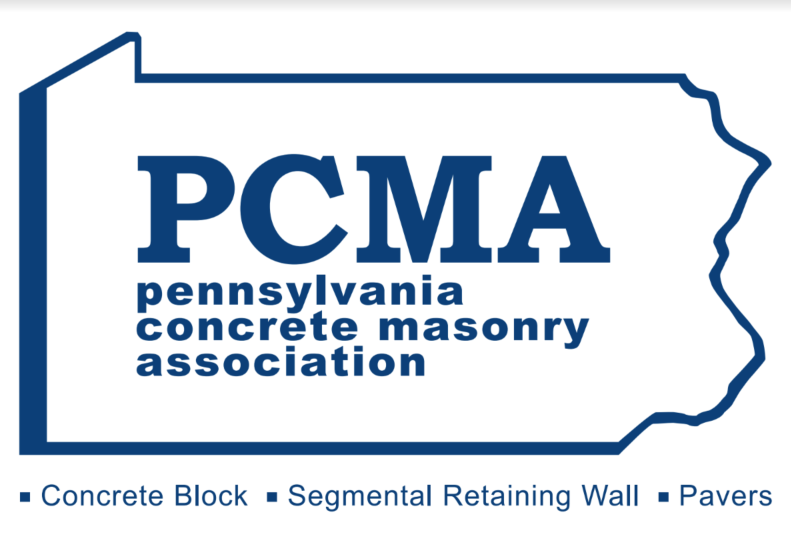 This year, the Pennsylvania Concrete Masonry Association is celebrating its 50th Anniversary. Historical memorabilia will be on display during their Annual General Membership meeting on January 17 at the Hollywood Casino in Grantsville, PA., and festivities will continue in June at the Annual Family Membership Convention held at Seven Springs Mountain Resort.. The Historical and Masonry Structures at ISISE, University of Minho, will be opening soon two PhD grants on Masonry Structures. If you are interested in any of this positions, please send your résumé and indicate your subject preference to Professor Paulo B. Lourenço (pbl@civil.uminho.pt) before the end of January. The grants will address experimental characterization of the performance of mixed cement-lime mortars in structural masonry applications focusing on bond, restrained movements and earthquake engineering and more. World of Concrete 2019 is January 21-25, 2019. Registration is open right now. 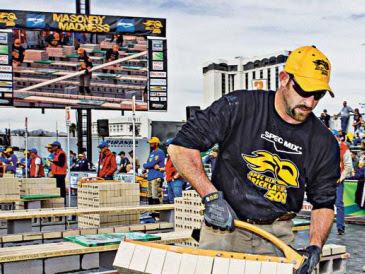 NCMA will be participating as a sponsor of the Masonry Madness event on Wednesday, January 23, 2019. Click here for more information and to register. Plastic Components manufactures WHITE, GRAY, TAN and DARK BROWN foundation sill screeds, casing beads, drip edges in 10 ft lengths for stone veneer applications. No more painting with these trims! They conform to ASTM standards D1784, C1063 and D4216. And the molded in colorant eliminates chipping, loss of color. According to RealPage, a provider of property management data and services, developers plan to deliver 337,000 new apartment units this upcoming year, up from 320,000 in 2018. Another giant wave of new luxury apartments is poised to hit apartment markets across the country this year, especially in downtowns and central business districts (CBD) areas. However, student and auto loans will keep some young people from forming new households, as will slower economic growth, which is projected by some to return to its more normal number of two to three percent. To read more,click here. Based out of Chicago, Illinois, BlockUp is a patented fast-build mortarless system that is the primary product of Max Block Development, a masonry building system development company. Patented designs are being developed and grown regionally with the goal of expanding throughout the United States and in the future other countries. Learn more at www.block-up.com. Don Gordon and Karl H. Watson, Sr. will be inducted into NCMA’s Hall of Fame next month in recognition of both candidates and their decades of exemplary leadership and service to the association throughout their distinguished careers. They've both provided significant contributions to the industry. The presentation will take place at the Business Breakfast during NCMA’s Convention in Orlando. Click here for the announcement. NCMA President Bob Thomas, Vice President of Business Development Nick Lang, and Manager of Membership Development Carrington Blencowe will be in Las Vegas January 21-24 for World of Concrete. Is geotextile required when installing Articulated Concrete Block (ACBs)? No. Articulated concrete blocks (ACB) can be installed without or without geotextile if the providing soil conditions and material requirements are met. In some cases an engineer may require that geotextile be used even if material requirements for stability are met. For more information on ACB installation, see TEK 11-13 Articulating Concrete Block (ACB) Installation. The NCMA Research and Development Laboratory is dedicated to the scientific testing and research of manufactured concrete products and systems. Staffed by professional engineers and technicians with many years of experience in material testing, the lab is equipped to perform nearly any physical testing of concrete masonry and hardscape units, other manufactured concrete products, and assemblies.It also performs research and development work for both the association and individual companies. To learn more, click here. For more details about each plant, click here. The Virtual Plant Tour is just one of the many events taking place during ICON-Xchange February 12-16, at the family-friendly Hilton Orlando Lake Buena Vista – Disney Springs™ Area, located in the Walt Disney World® Resort and within walking distance to Disney Springs™. Learn all about ICON-Xchange atwww.iconxchange.org. More than 40 manufactured concrete masonry and hardscape industry product and services suppliers will be meeting with industry producers to educate and show their latest products during ICON-Xchange Marketplace on February 14-16 at the Hilton Orlando Lake Buena Vista. Click here to see the full list of companies participating. The Marketplace is held during ICON-Xchange which also includes the B2B Exchange and the NCMA Annual Convention, February 12-14. Visit www.iconxchange.org to see all the highlights and events taking place. 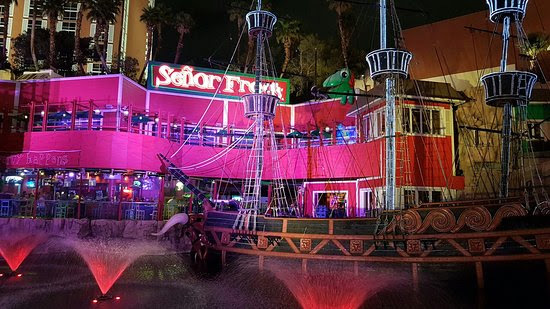 NCMA -- together with MCAA -- is hosting a special YPG happy hour event on Wednesday, January 23 from 5:30-6:30 pm at Senor Frogs at Treasure Island in Las Vegas, Nevada, a lively Mexican eatery with a fun, party vibe. Come join and meet fellow YPs of NCMA & MCAA, play some bar games, network and watch sports. Maybe even building a lasting relationship. RSVP to Carrington Blencowe atcblencowe@ncma.org.